Are you satisfied with artificial “Umami”? This is a real “homemade taste”; curry sauce with less spice. Curry is the most popular dish for Japanese. Our curry is spicy but with a mild sweet taste. 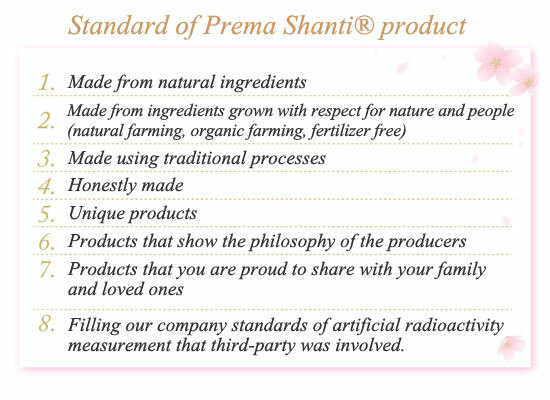 There is no chemical seasoning, synthetic preservatives or any umami seasoning including yeast extract used at all. We are pleased to offer you not “palatability” seasoned by artificial umami seasoning, but the real taste inherited by the eternal Japanese food culture. Due to our diet, we Japanese have a natural sense of taste and know what “UMAMI” is. (this is called the fifth sense of taste) As a result, we can offer you the real taste of “umami”. Mixing spices, frying onion until it turns a light brown, put together with vegetables and fruit, and simmering them thoroughly ?we have already cooked the most time consuming part and made it into roux so that you are able to use at any time. There is no use of “unnecessary and unnatural ingredients”, so the taste is clear. Make your original home taste by adding any of your favorite tastes such as apple, honey, banana, butter, Oyster sauce, or red wine as you prefer. We use rice flour instead of wheat flour, where the rice is cultivated without any chemical fertilizer and chemical synthesized agent. 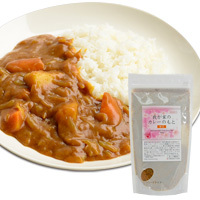 This curry roux is also suitable for vegetarians, using only vegetable origin ingredients. 1: Cut vegetables the size you like. Heat the pot with oil and brown the vegetables. 2: Pour in the water and, after boiling, simmer until the vegetables are cooked. 3: *After turning off the heat, put in the curry sauce and stir, mixing well. 4: Add honey to suit your taste.